Build a Toyrarium and other fun gardening ideas! Gardening and plant related projects are such great family activities! We've had some great fun doing a little backyard vegetable garden with the kids! And since we're in Nebraska right now, the boys have loved helping Grandma and Grandpa with their backyard garden! In fact, they just helped plant some pumpkin seeds this week. Grandma and Grandpa will be sending the boys updates and then we'll be back in the fall to see the final results! So fun! 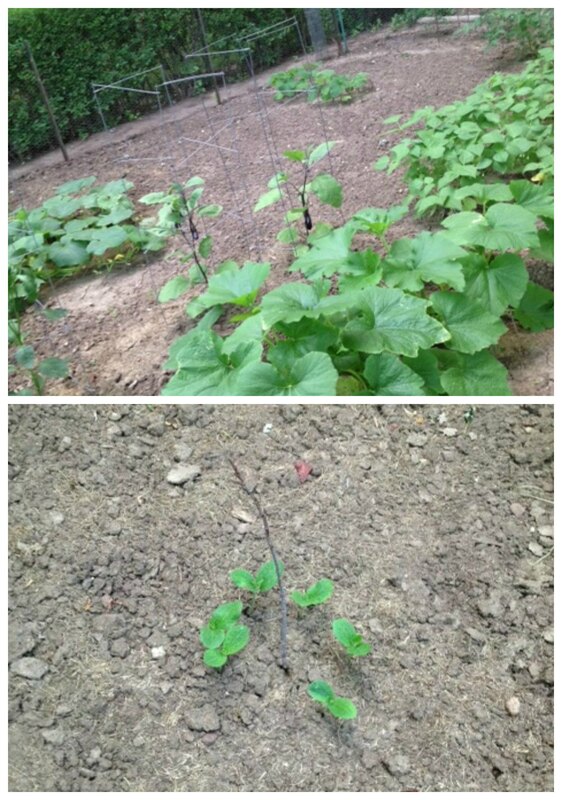 Just look at that cute little ring of just-sprouted pumpkin plants that sprouted in the 10 days we were here! It will be great for the boys to watch what happens with those! But, traditional gardening certainly isn't the only way to have fun with plants. There are so many cute ideas out there–from fun planters, patio gardens, and cute things for gardening with kids. In fact, Miracle-Gro actually has a whole Pinterest board dedicated to fun garden projects! 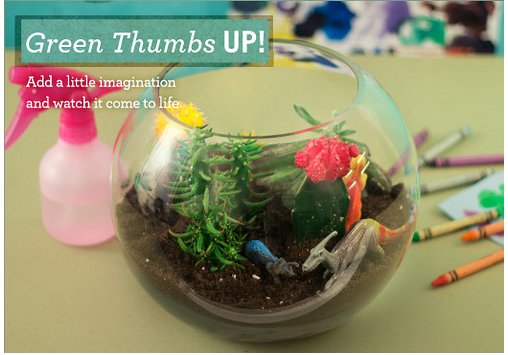 One of my favorite ideasThe Gro Project is the Toyrarium! I know the boys would love a little dinosaur garden! Isn't it cute?! For additional gardening resources, Miracle-Gro online gives viewers access their expansive library of articles and videos full of expert gardening tips for beginners and professionals alike. There are also online tools to help growers solve common garden problems and find the right garden products, like the LiquaFeed All Purpose Plant Food Advance Starter Kit. I'm not an expert gardener by any means. So, it's great having so many great resources available. What are YOUR favorite gardening projects?